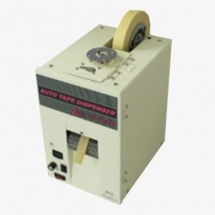 Electronic Tape Dispenser ZCUT-3-SB with fingerlift tape folding unit. Easy to change blade and inexpensive blade cost. Simply set length by digital counter. Tough body enables to stand 24 hours being used.